Continuous plating solution with ventilation in a small space. Or ... teeny tiny plating tank. Our customer wanted a continuous plating solution with ventilation in a very small area. 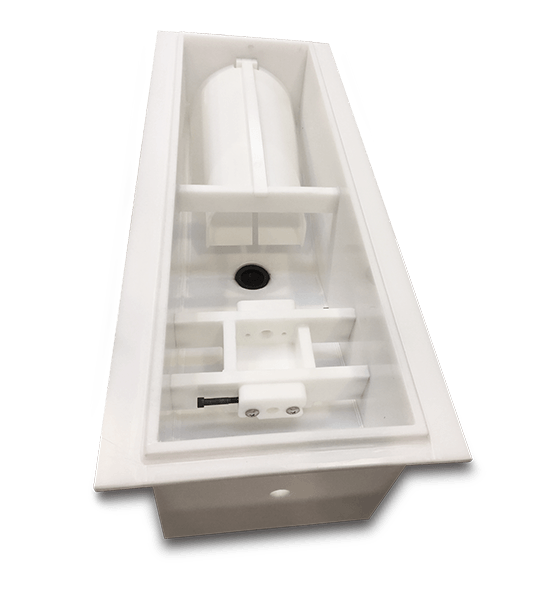 We built a tiny plating tank with proprietary internal details for continuous placement and movement of product through the tank at a very high rate of speed. We’re talking like miles of tube per day speed! We also built a removable mating ventilation hood to keep harmful fumes away from the employees. High output in a small package, excellent product quality, and healthy, happy workers! Very cool project. Everybody wins!